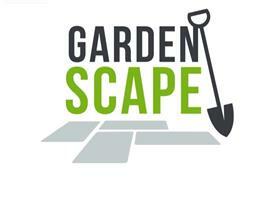 Gardenscape Ltd - Landscaper , Rubbish/Waste/Clearance based in Gilston, Essex. The team at Gardenscape have a wide range of experience to offer a variety of landscaping requirements, specialising in resin bound driveways, artificial lawn and natural stone patios. Our work and designs are suitable for residential and commercial projects. We are committed to using quality materials and constructing gardens to the highest standards. Whatever project we are working on we always work to the same high standards and pay attention to the smallest of details. Having a good working partnership with our suppliers also means we can get you the best rate paid for your material and we have recently worked with Channel four's 'Ugly House to lovely house' on a project in Hertfordshire, photos can be found in the gallery. Gardenscape do not believe in sub-contracting work out, so we guarantee it will always be the same team of faces working on the job. From September 2018 Gardenscape Ltd now hold a waste carrier licence to offer the service to remove all your domestic, commercial and residential waste and recycling. All areas of Hertfordshire, Bedfordshire, Essex, North London.